to a total of nine grant awards totaling $525k. community at the intersection of technology and music. caregivers in mindfulness and compassion skills. and inspiring an inclusive community. interact with tech industry volunteer role-models. the opportunity to attain a no-cost Bachelor’s degree. issues using mindfulness, compassion and nonviolence. recipes and educational materials to 350 families. 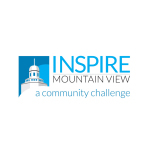 For more information on the winners, visit www.InspireMV.org. fiscally sponsored by a 501(c)(3) nonprofit were also eligible to apply.